The Book-House: Find Spelljammer products. 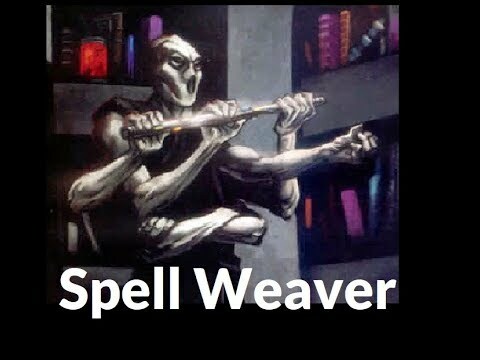 Seethyr wrote a topic about Spell Weavers) recently. I had never heard of these before, but they were invented by Ed O'Connel, during the 2nd Edition Era, for an article in Dragon Magazine 163. They are an ancient race, supposedly older than the creator races of Toril. They have six arms and can cast multiple spells at once and are known for carrying a chromatic disk that allows them to cast additional spells. Spelljammer is a bit lacking in the history department, but here we have a race that would have been found across the crystal spheres. That means that Spell Weaver adventures, could be throw into random Spelljammer crystal spheres...to pad them out, or new Spell Weaver content could be written that works in a specific crystal sphere. Has anyone tried doing anything with this race? 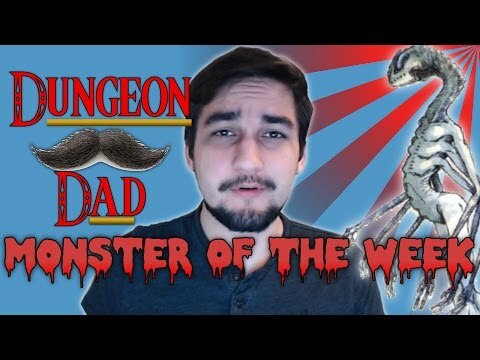 Where do you think they would fit in with the other ancient races of the D&D Multiverse? Please join The Piazza's Facebook group, The Piazza's Facebook page and follow The Piazza's Twitter feed so that you can stay in touch. Spelljammer 3E Conversion Project - Spelljammer Wiki - The Spelljammer Image Group. Moderator of the Spelljammer forum (and administrator). My moderator voice is green. I’m so glad there is a sparked interest in this race. From what I’ve read, and now from what I’ve listened to thanks to your links, I’m starting to think the spellweavers are one of the more interesting unique races to the game that simply haven’t been explored in enough detail. To be honest, they seem like D&D’s answer to the X-files. Or maybe even the dimensional beings from Indiana Jones andthe Crystal Skull. I don’t know if I could really contribute any official lore to what has been provided but I have some thoughts on what they are and where they came from. It would stand to reason that they are a race that is out of time. One from before the gods coalesced from the primordial chaos. Maybe they are actual transplants from the Far Realm and existed when there were only creatures like the aboleth in the primordial soup. Does everything from the Far Realm have to be hostile and madness inducing? Perhaps this is exactly why they sacrificed their whole empire to prevent an incursion from the Far Realm? I guess the first part is determining how spellweavers get around. Do they use spelljammers, or do they have some other way of traveling? Perhaps planar travel? I imagine a spellweaver spelljammer might have few, if any large weapons, and instead rely on magic for defense. Or perhaps they use other races as crewmen, willing or not, in a manner similar to illithids or neogi. A large ship might have as few as six spellweavers aboard, the rest being humans, elves, orcs, whatever. Probably your best approach if you don't want to create spellweaver-specific spelljammer designs. When I think of outposts, I sorta think of free-standing castles made of exotic materials such as crystal. Probably take a large castle map and give it a crystalline makeover, putting in all manner of esoteric things to give an alien vibe to it.